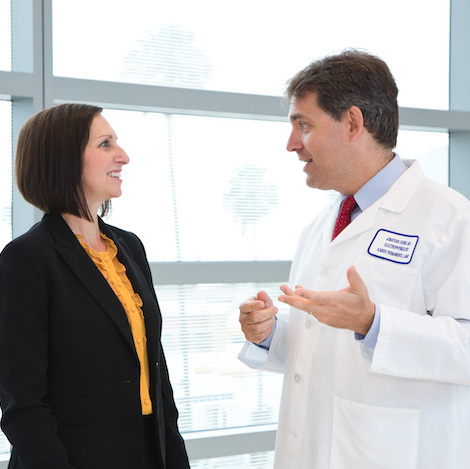 Physicians play a crucial role in the Kaiser Permanente Southern California research program. Practicing physicians raise questions based on their real-world clinical experience, provide insights into clinical workflows and information from our electronic medical record, and help share knowledge about practice-changing findings from our research studies. There are several pathways for physicians from the Southern California Permanente Medical Group to engage in research. One of the most common is for physician researchers to partner with investigators from our scientific divisions. The following programs provide more formal pathways to engage with research. The Regional Research Committee provides internal funding for research projects led by Partner and associate physicians, residents, and employees from Kaiser Permanente Southern California. Funds are awarded through a competitive process. The committee also helps connect participating physicians and staff to additional resources. Physician investigators from the Southern California Permanente Medical Group participate in more than 400 active studies, including trials for investigative drugs, biologics, and devices. Staff from the Division of Clinical Trials Research support trials at medical centers and office locations throughout Kaiser Permanente Southern California. The Southern California Permanente Medical Group recently launched a Clinician Investigator program. The program provides physicians with additional time to conduct research and access to biostatistician and research support. Appointees are selected through a competitive process. The Department of Research & Evaluation provides support and services to investigators at medical centers throughout the region. The following programs are dedicated specifically to supporting physician researchers. The Regional Research Statistical Support team provides biostatistical support to physicians and other researchers at medical centers to conduct small scale and pilot/feasibility studies. Services include statistical consultation on feasibility, study design, data extraction/preparation, and statistical analysis and interpretation. The team also provides education and training on statistical methods. The Department of Research & Evaluation has created a specialized administrative support team to assist physician investigators with project-related business. The team can help with biosketches, administrative assistance with grant proposals, formatting and submitting manuscripts, and research-related travel arrangements. The Medical Center Internship program helps physician researchers onboard undergraduate and graduate students who work as medical research interns. Interns have access to educational opportunities through the Department of Research & Evaluation, such as our research seminar program, and can participate in Kaiser Permanente networking opportunities. For more information, contact .